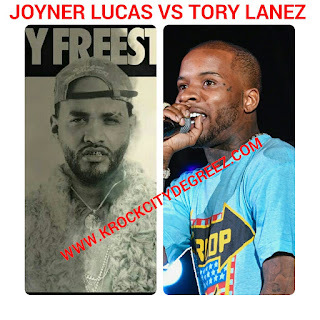 Joyner Lucas challenged Tory Lanez to a rap battle on Monday night, and the Canadian artist responded immediately. Lanez stepped up to the challenge with the "Lucky You Freestyle," proving yet again that those who underestimate his rapping ability are dead wrong. Lucas has snapped back with a rapid response though. Entitled "Litty Freestyle," the scorching response takes shots at both Lanez and Trippie Redd.